A lorry driver who died in a collision on the A27 didn’t see a stationary vehicle in front of him until it was too late, an inquest heard today. 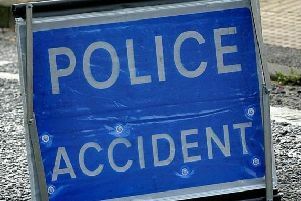 David Paul Ifould, 55, of Hewke Close, Andover, died as a result of ‘catastrophic’ blood loss from injuries sustained in the collision on October 13, the Crawley court heard. The father-of-three was driving a lorry when it crashed into a skip truck that had stopped on the westbound carriageway between Bosham and Emsworth due to a blown tyre. The fatal accident closed the A27 for several hours and brought traffic to a standstill around Chichester. Michael Doody, the driver of the stopped skip truck, told the court he was playing on his phone waiting for assistance when the lorry hit, stopping in the hedge. A statement from Lesley Wade, who was two cars behind Mr Ifould, said she heard a ‘almighty bang’ and stopped to help, but found Mr Ifould had died at the scene. Ms Wade and other witnesses evidence at the inquest said it was not clear why Mr Ifould’s lorry did not move into the outside lane to avoid the immobilised truck. Forensic collision investigator Iain Lumbard told the court a driver’s perception of stationary objects might be impaired by a lack of features in the landscape. He said Mr Ifould had not been wearing a seat belt, but ‘given the catastrophic damage and force’ involved, he was not convinced it would have saved him. Senior coroner for West Sussex, Penelope Schofield, concluded death by road traffic collision and said she hoped the family would have ‘some element of closure’. She also asked Mr Doody’s firm to review its policy with regards to break downs to better assist other road users and to use road triangles.